Disney has built a truly magical resort in Hawaii that captures the essence of Hawaiian culture while still providing the the outstanding service fans come to expect. Aloha! I recently returned from a fantastic journey to the island of Oahu, Hawaii. 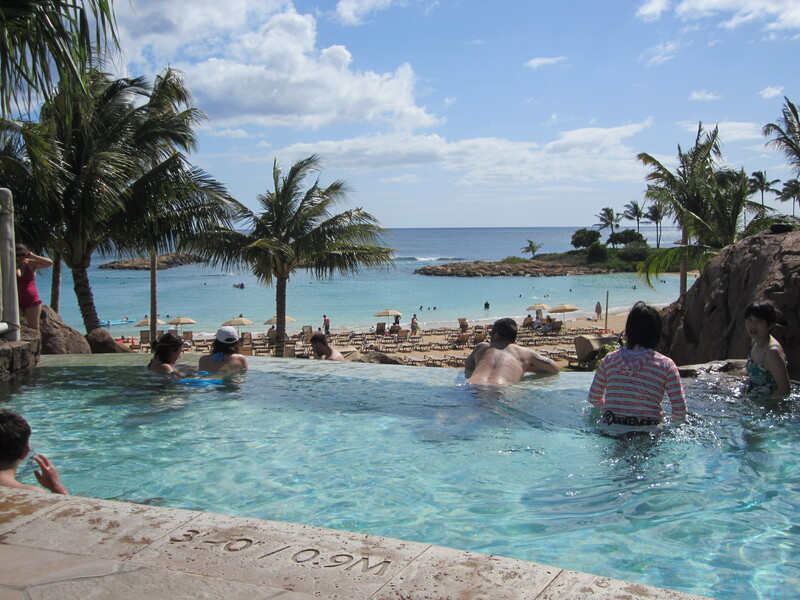 During my trip to tropical paradise, I was lucky enough to spend three magical days at Aulani – A Disney Resort and Spa. Along the way, I experienced every inch of the resort from the beach to the bathroom bringing back a photo report from this most exotic of Disney locales. 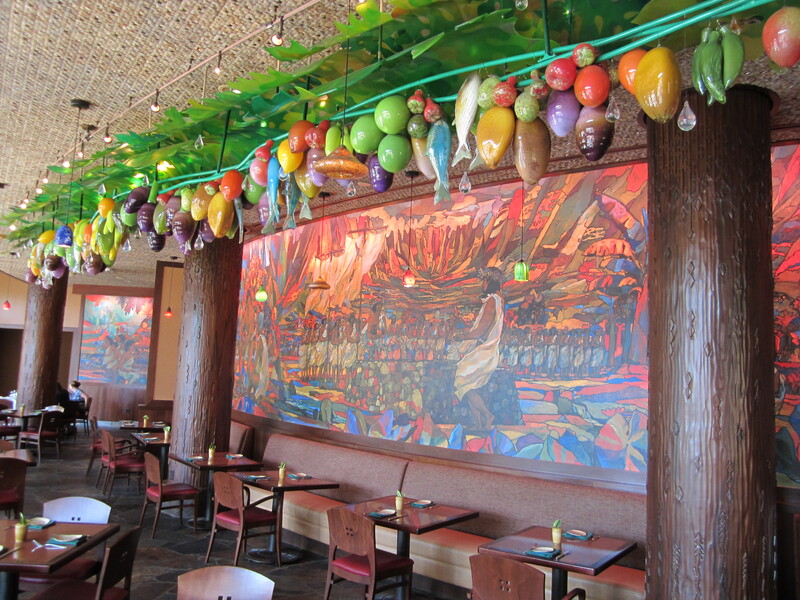 Don’t be surprised if we embody the spirit of Aulani and their signature bar the ‘Olelo Room and teach you a little Hawaiian along the way. Enjoy the report or, as they say in Hawaiian, walea ka palapala ho’ike. Guests are then escorted to the front desk to check in or get room keys if already checked in online with Disney’s handy service. The photos behind the desk are taken by local K-12 students. We had been staying on Waikiki before coming to the Aulani and wanted to spend as much time at the resort as possible. Our room wasn’t ready when we arrived around 9:30am. 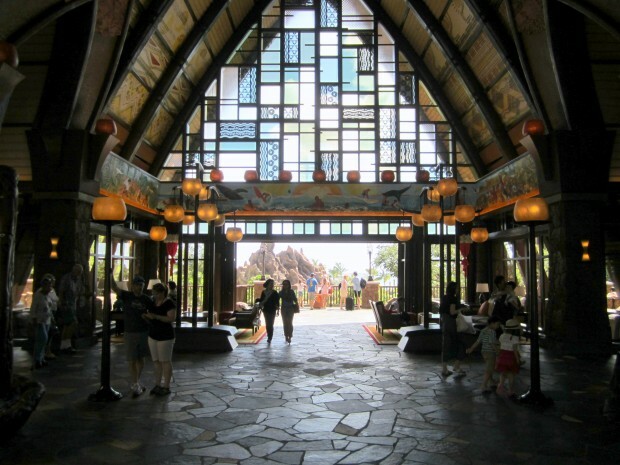 But in true Disney style, Aulani provides a service that no other Hawaiian resort can offer. Disney provides a lounge with men’s and women’s locker rooms, free lockers, sitting areas, and computers to print your boarding passes. So while waiting for a room to be ready, guests can just visit the locker rooms, pick out an empty locker and then head to the pool. It’s part of the Aulani spirit in which guests are ‘ohana, which means family. Those looking to relax will find a TV at either side of the lounge. This is also where guests return at the end of a trip to print boarding passes. In the center of Aulani lies an impressive pool area encompassing amazing attention to detail, two water slides, and several fantastic pools. A trip to this Waikolohe Valley is something not to be missed. Themed after Oahu’s vast landscape, the Waikolohe Valley is dense and wet in the center with sandy palms on the edges. 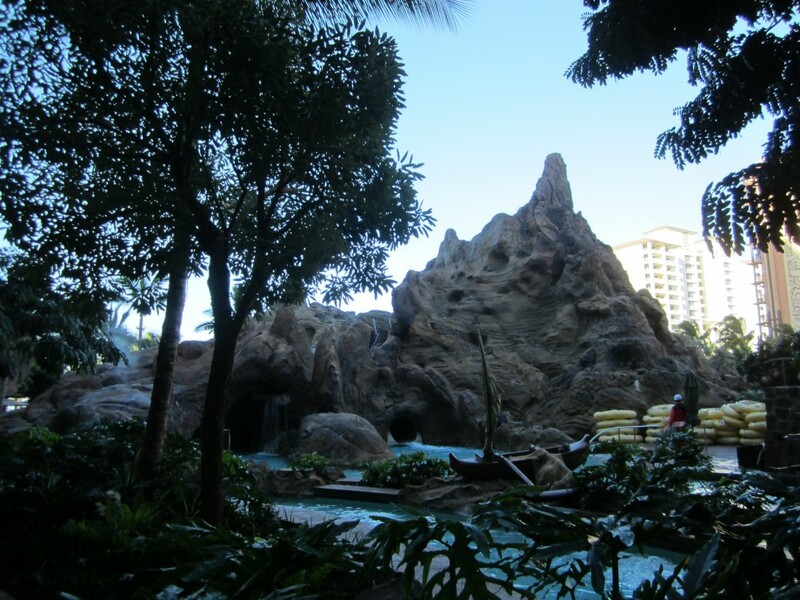 Waikolohe Stream is the resort’s slow moving lazy river that flows underneath three bridges, under water falls, and through a cave. There are clever references to spot, like the “date” one of the bridges was built, 1923 – the year Walt Disney moved to Hollywood. The fan-favorites at the pool are two water slides. 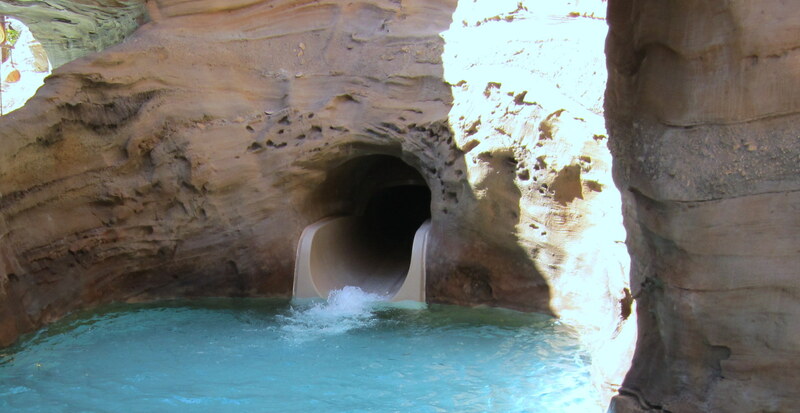 Tubestone Curl leads into Waikolohe Stream and is a high-speed tube ride that’s fun for the entire family. 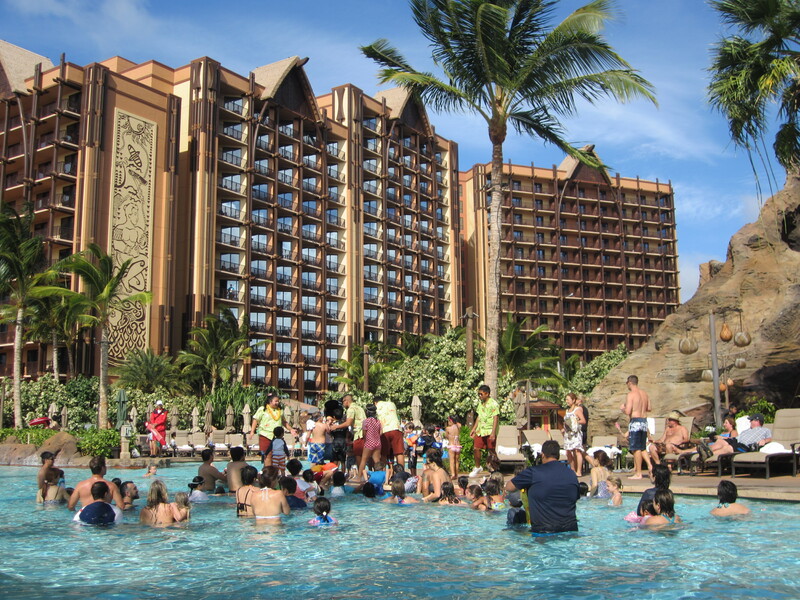 Waikolohe Pool is Aulani’s main shallow pool, surrounded by chairs and home to pool parties during the day. 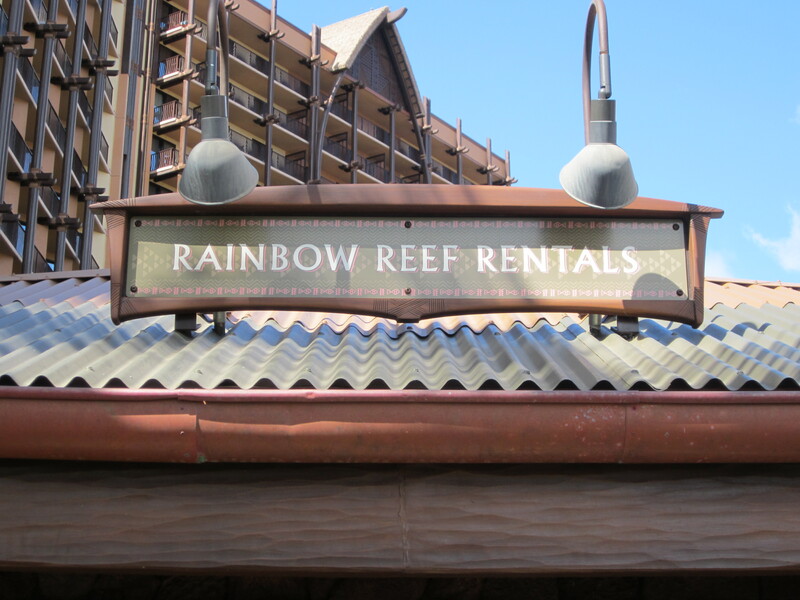 Disney also provides a saltwater snorkeling experience for their guests in a pool called Rainbow Reef, filled with beautiful fish. Access to this pool does have an extra charge, $20 for adults and $15 for children for one day or a length-of-stay pass, $39 for adults and $29 for children. The final pool is a two-tiered infinity pool looking out to the ocean and lagoon. There are also four inviting, but hidden and secluded, whirlpool spas located throughout the resort. The Menehune are magical creatures that explore Aulani. They travel using the arch seen in the Aulani logo, to and from the magical Waikolohe Valley. 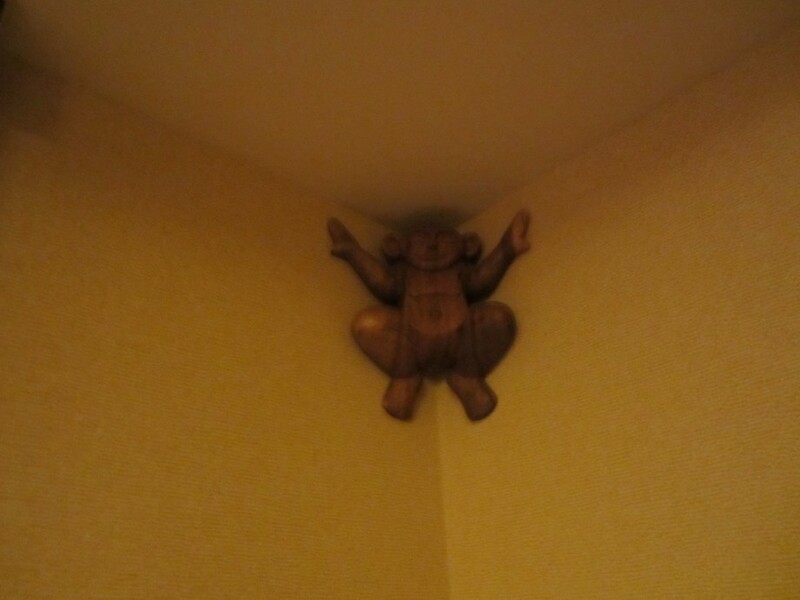 The Menehune are the little people of Hawaii who watch over the Aulani and keep the area safe. The complete tale of the Menehune is best told by legendary Walt Disney Imagineer Joe Rohde, the man behind Aulani. 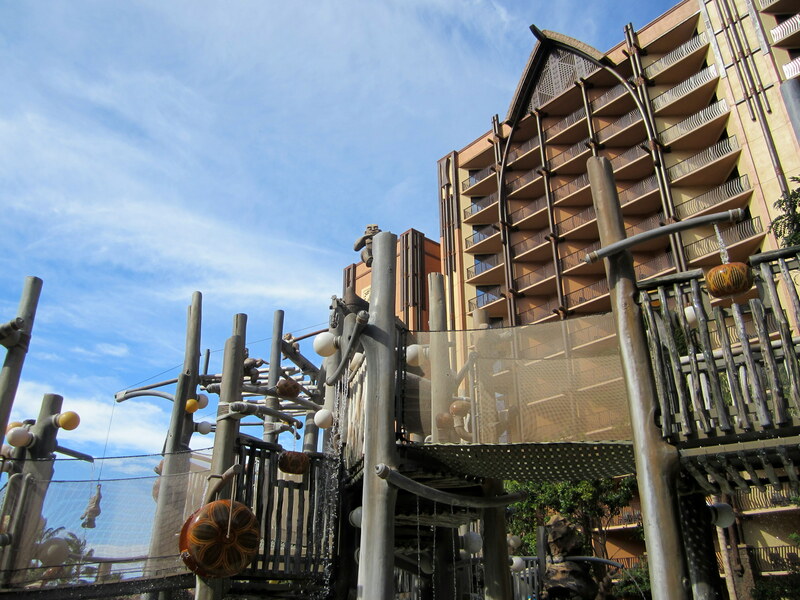 The Menehune adventure game at Aulani is an experience similar to the Agent P World Showcase Adventure and Sorcerers of the Magic Kingdom at Walt Disney World. In the game, “Aunty” needs help with tasks and phone calls at the general store that she runs. Some tasks include lighting up a volcano, fixing the Menehune’s canoe, or simply getting the mail. In the center of all of Aulani’s activity is the Pau Hana Community Hall. 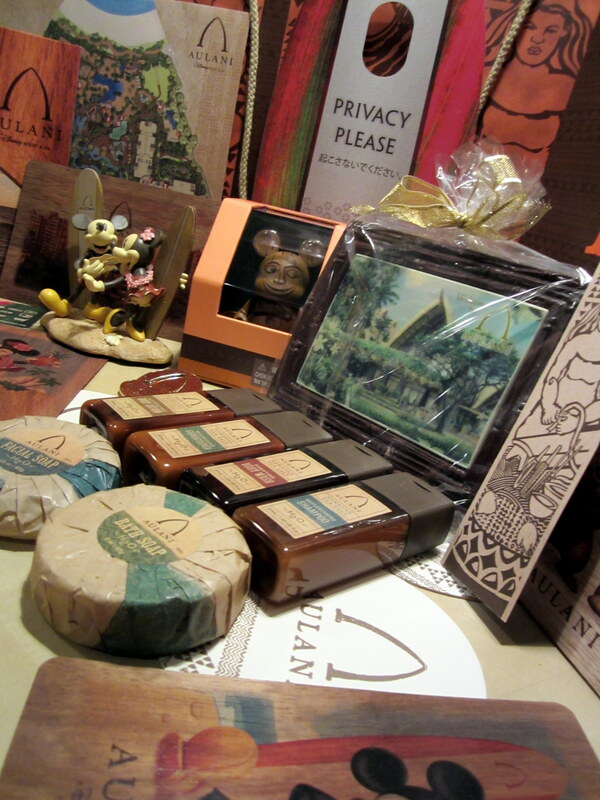 Here guests can pick up a Menehune Adventure Trail device, take part in a craft activity, or watch a movie. 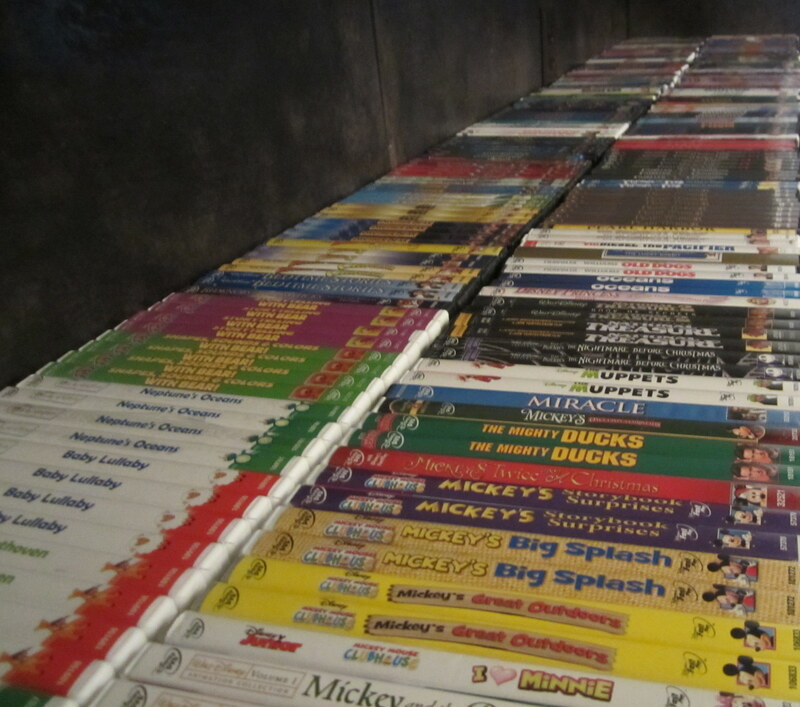 Also available are rentals of almost any Disney movie for $3 for hotel guests or free for Disney Vacation Club members. Aulani publishes a daily “Iwa,” or schedule of events, for anything happening around the resort. During the day there are fun events like the Shake-A-Shaka Pool Party featuring Mickey, Goofy, and Minnie. At night there is storytelling with Uncle, the handyman of the resort. He brings out his ‘ukelele plays some songs while telling authentic Hawaiian stories around a huge fire pit. 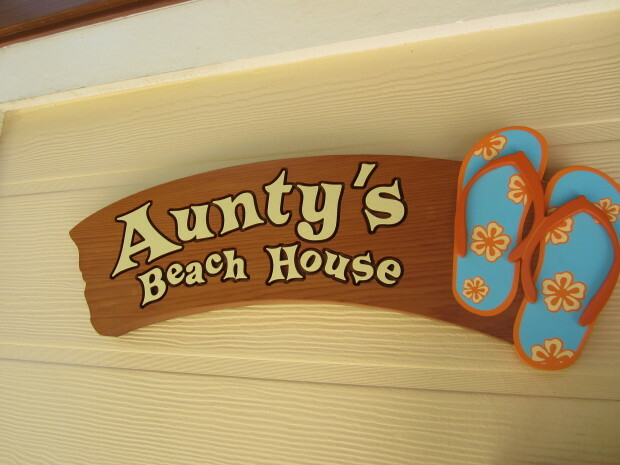 Keiki activities are centered around Aunty’s Beach House, a complimentary child care center that goes above and beyond. During a morning open house tour, we saw some of the most unique features like a movie room where Cast Members tell the children they can only watch a movie when it is raining. Then, courtesy of Disney magic, it starts to “rain” outside. Throughout the day, they have activities like Kings and Queens of Comedy where the Cast Members teach the kids stand up comedy using costumes available in Aunty’s Beach House. The ‘Opio activities revolve around the beach and Painted Sky the teen spa. Throughout the day there are activities allowing for teens to meet other teens at the resort, including a house party, sand castle building class, free workout sessions with a personal trainer, ‘ukelele lessons, and animation classes. 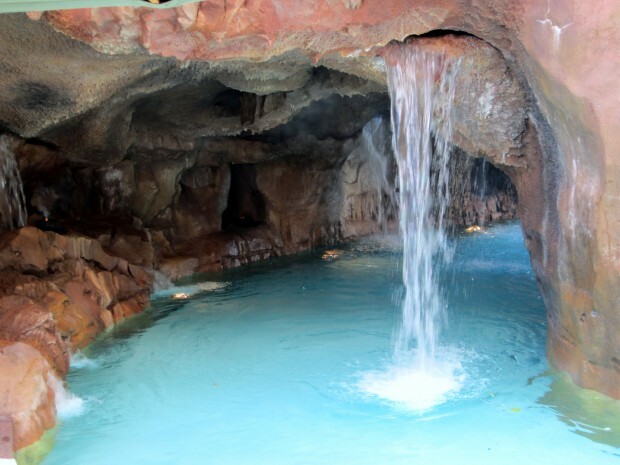 Laniwai means “fresh water paradise” and that is certainly true for the spa at Aulani. Disney offers spa services on property for the entire ‘ohana. Inside the award-winning spa guests will find 18,000 square-feet of indoor space and a 5,000 square-foot outdoor space. 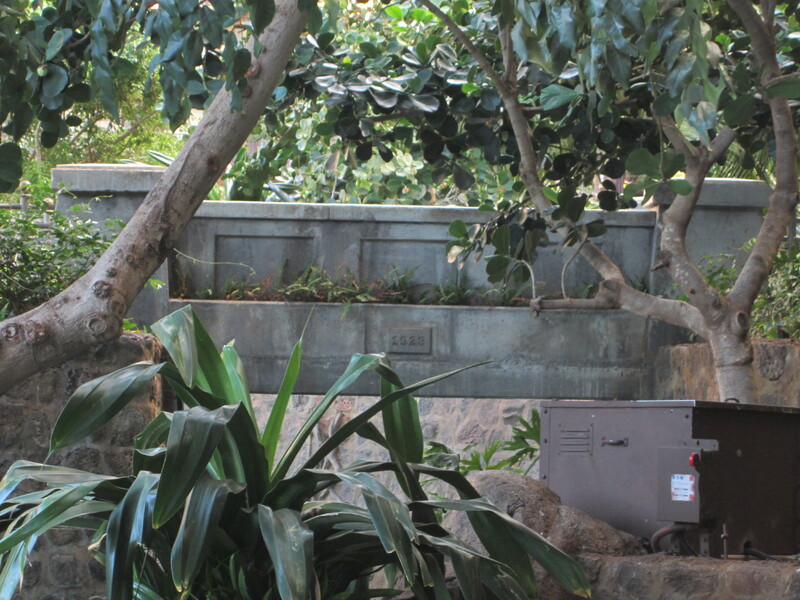 Spa patrons are encouraged to arrive or plan to stay an hour before or after their treatment to use the outdoor space called the Kula Wai Hydrotherapy Garden. It offers private vitality pools, co-ed mineral baths, 6 different rain showers, whirlpool jet spas and the most relaxing time that guests will have on their entire trips. The spa offers more than 150 different treatments in 15 rooms, including couples and family rooms. The Painted Sky is a teens-only hangout with frozen yogurt bar, lounge, computer stations, D.I.Y. 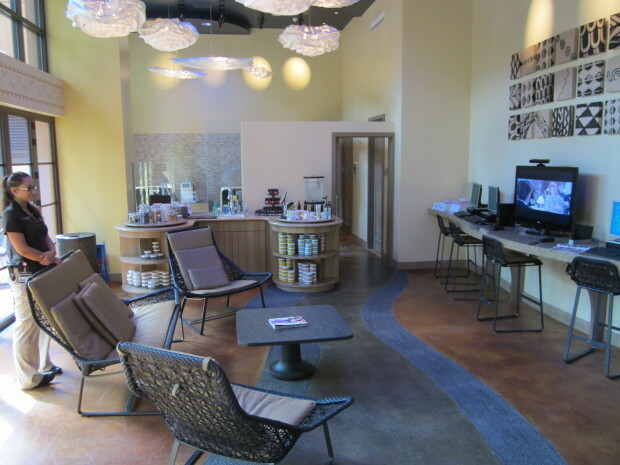 mixology perfumes, body polishes, face masks, and teen-specific massages including facials, manicures and pedicures. Also nearby Painted Sky and Laniwai is Mikimiki, the resort’s fitness center, beautifully designed, nicely air conditioned, and filled with all the latest workout equipment. 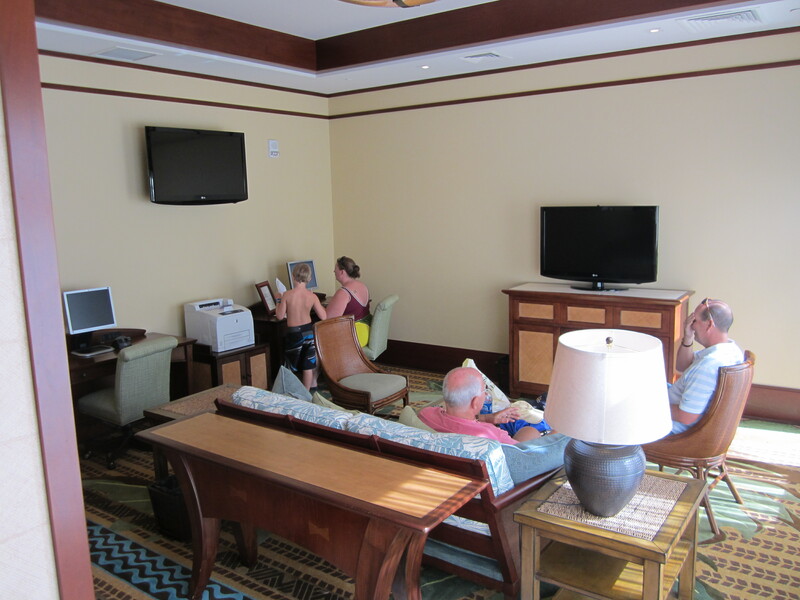 My favorite part of the room was the huge TV that took up an entire wall, showing surfers, sea turtles, and other Hawaii specific footage. 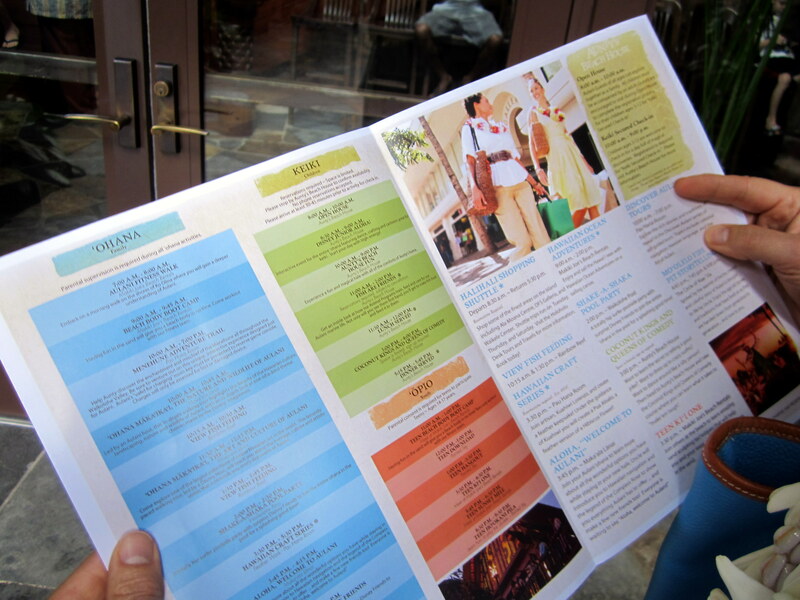 Disney went all out when creating the many unique Aulani dining opportunities, including a beach side location, walk-up dinner window, lunch poolside, multiple bars, a lounge, a buffet, and snack shack. 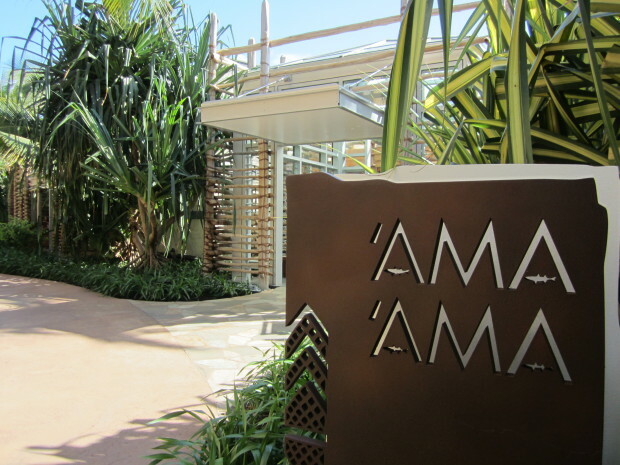 Aulani’s premiere dinner restaurant is ‘Ama ‘Ama, a beach side dinner spot. ‘Ama ‘Ama serves a unique blend of island favorites that rotates with the seasons. Dinner is centered around sustainable seafood, steak, duck and pasta. For lunch, they serve hot and cold sandwiches, soup, salads and pasta. For breakfast, there are omelets, waffles, pancakes, grains and freshly-made bakery items. Inside the restaurant, fantastic detail supports the story that the restaurant is Aunty and Uncle’s house that has expanded over the years. Each section can be easily dated back to a certain architectural era. The perfect place to get a great buffet, Makahiki is a fantastic island restaurant with all of the classics plus Asian cusine. Serving breakfast, lunch, and dinner, this restaurant has a huge buffet for breakfast and dinner plus a menu. In the morning, Makahiki is home to the character breakfast led by Aunty. The rousing celebration wishes a good morning, saying Aloha kakahiaka. In the character breakfast, guests can meet Mickey Mouse, Minnie, Donald, and Goofy. The atmosphere is fun and lively as guests are surrounded by Hawaiian art and large windows looking out to the Waikolohe Valley. Sweet potato tater tots, three different types of sliders, Hawaiian nachos, and so much more. The ‘Olelo Room is actually the reason for the use of so many Hawaiian words throughout this article. The theme of the lounge is to teach their patrons a little Hawaiian. Lining the walls are more than 150 shadow boxes with an icon and the Hawaiian word for them below. Those sitting at the bar are in for a treat as throughout the night words light up on the bar top giving a conversation starter. 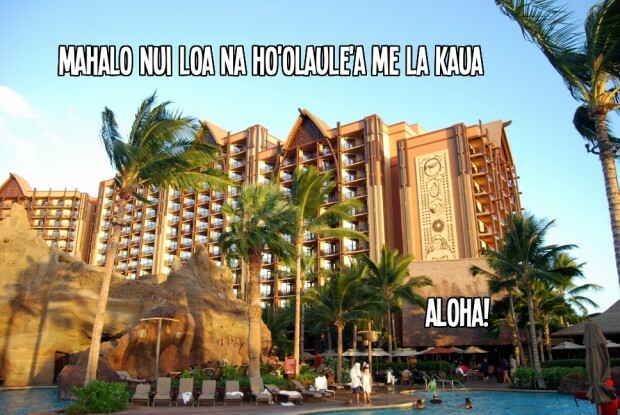 Every Cast Member that has works at the ‘Olelo Room must speak Hawaiian. This location offers quick, pick-up food for dinner or lunch. The quick service restaurant is a great place to grab sandwiches, salads, burgers, or kids food. Open most of the day serving wraps and salads, this convenience store type location is poolside and provides some great snacks. As the name implies, it is in the center of the volcano in the middle of Waikolohe Valley. This recent addition to Aulani serves a fantastic variety of hot dogs, including all-beef, local red dogs, Portuguese sausage dogs and Buffalo-ranch fried chicken tender dogs. We never had a chance to get lunch here, but boy did the food coming out look interesting. Located beachside, this snack hut serves salads, wraps, and sushi. One speciality avaiable here is alcohol. The alcohol itself isn’t special, but the fact that it is for sale here is. Disney is one of the only resorts on Hawaii to have purchased the beach in front of the resort. Because they own the beach they are allowed to serve alcohol on the beach and along the sand. This comes in handy when they hold huge parties like a New Year’s Eve bash and want to have a bar. This spot serves shaved ice in a variety of flavors including coconut, pineapple, strawberry, and pineapple. 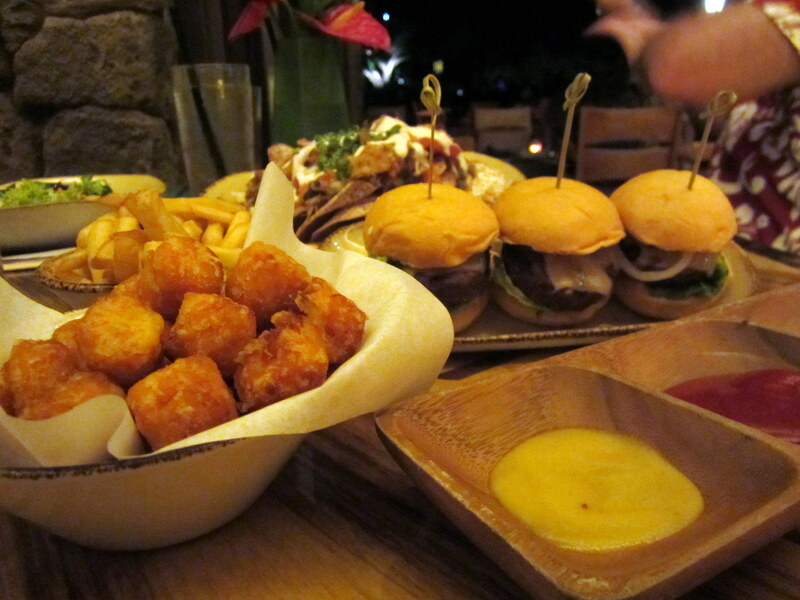 I highly suggest eating at the ‘Olelo Room for dinner and order appetizers to share. They were fantastic. Another great dinner choice is going to One Paddle Two Paddle to buy food and take it back to your room. 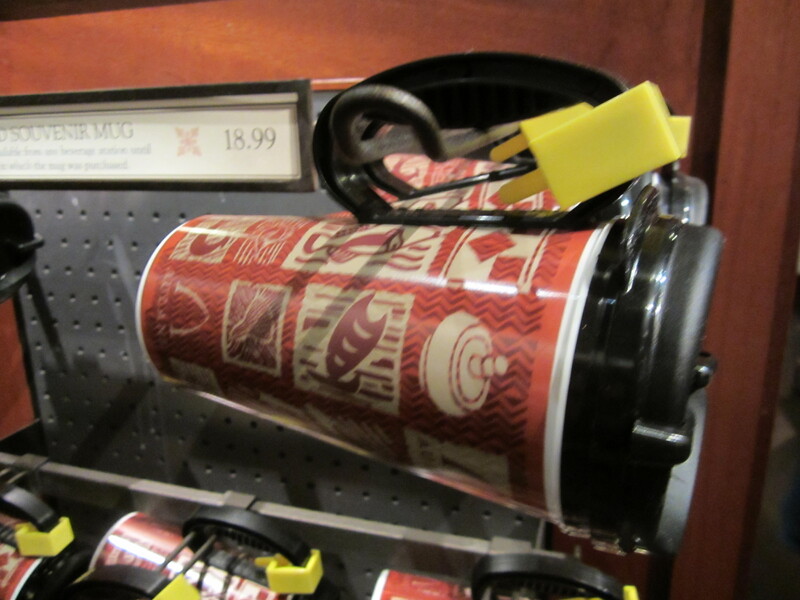 Purchase the refillable drink cup at the beginning of your stay if you plan on drinking soda at all during your trip. The Fab Five in Hawaii? 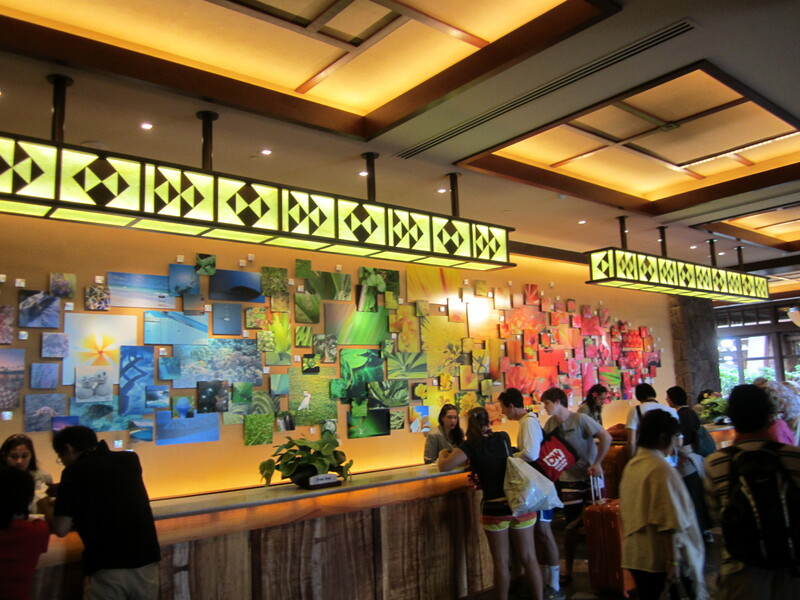 Part of the goal in building Aulani was to minimize the classic Disney branding and influence throughout the resort. 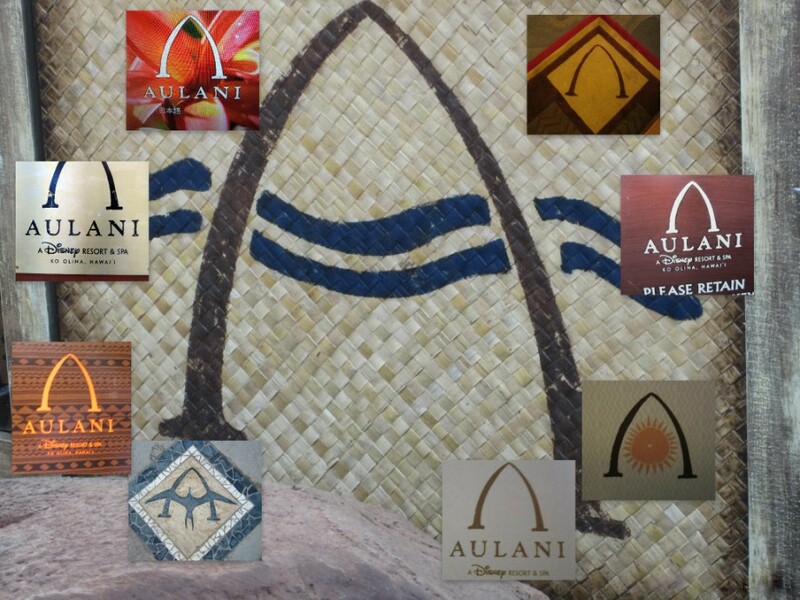 Even in its official hotel name, Disney chose to share their own credentials last: Aulani – A Disney Resort and Spa. In the same way, Disney characters are kept in specific locations and only come out throughout the day to greet guests. 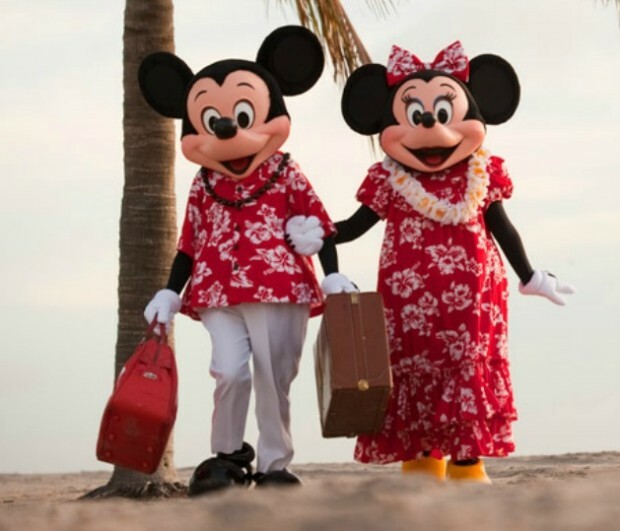 Only Mickey, Minnie, Donald, Goofy, and Stitch are at the resort because they are “on vacation” in Hawaii. 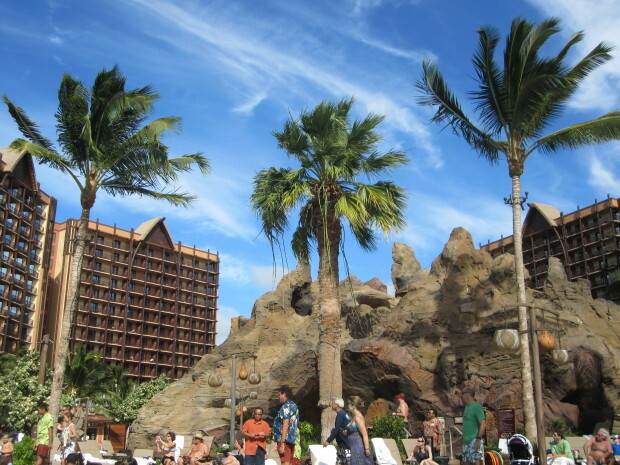 One of the best parts about Aulani is the feeling when walking around its grounds. It is a cross between tropical, Adventureland, and true Hawaii. The goal that Disney had when they first set out to create the resort was to tell that true story of Hawaii. Aulani has definitely achieved that goal. 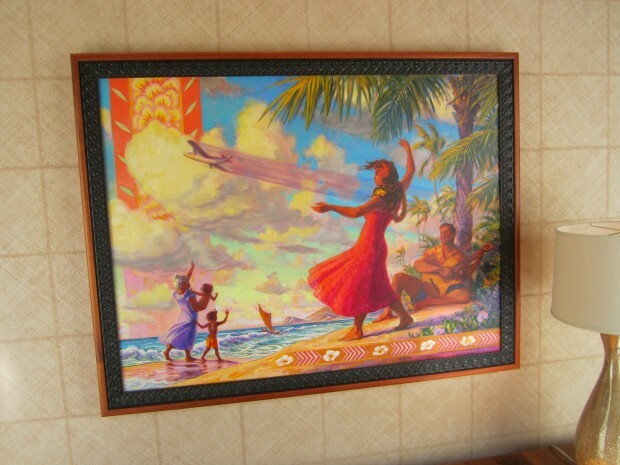 Every inch of the resort was beautifully planned out, representing Hawaii down to the last nail. 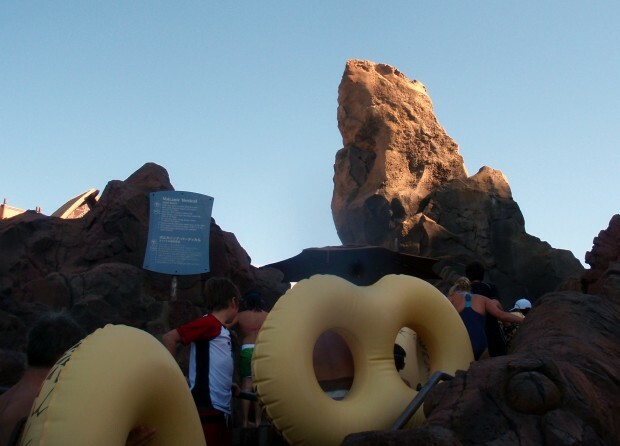 For more from Aulani, I invite you to read my article on the History of the Aulani at DisneyDose.com. Also, we previously recently interviewed Ricky Brigante, the wonderful host of Inside the Magic, so check that out too. Thank you for celebrating with us or, as they say in Hawaiian, Mahalo nui loa na ho’olaule’a me la kaua. Gavin Doyle is the Editor of DisneyDose.com, a Disney fan site specializing in providing unique opinions and coverage about every angle of the Disney universe. This looks like a place that only the 1% will ever be able to enjoy. Those of us in the 99% will have to be satisfied with just our dreams…and your gorgeous pictures and trip report. I loved reading this but have to admit I am a little sad I will never able to afford such luxury. It is too bad I agree, but some deals during the off season can make it more available to everyone. Thanks for your compliments on the report. I have not been able to afford a vacation for over five years now, but I am not going to let that stop me from dreaming! I go on YouTube and I watch people’s vacation videos on there. You’ve inspired me to go look for some Aulani videos. It is probably as close as I will ever come to that beautiful resort but I really do think it is incredible. I used to think the same thing Jeff. However we discovered DVC. Not only has it afforded us a vacation at Alauni but it has afforded us vacations for the next 50something years. Instead of “someday” it’s become a yearly event. Some people are time share haters but man has it worked out for us. No way would we ever have been able to afford Alauni at non DVC rates, ever! It’s cheaper then you think and will last your lifetime and your kids can use it even after you can no longer go. Just saying…. Great photos and write-up. Thanks for sharing! Of course. Glad you liked it. The Aulani really is a magical place. temporary coping, are supplied in a single package. exercise, and take nutritional supplements, but in the long run stresses to the point that it does not involve starvation. An additional of the most popular is a 2 megapixel camera. Nowhere obvious does the website say the release date. will seem next to it. approaches you can buy a solution into a parallel market. Try this newest edition to see on your own. new designs of you. + Facebook allows you to upgrade your reputation. Microsoft also launched the Microsoft Surface with Windows RT. about her? So, why not try that luck, and who understands you might strike the jackpot. Hey there! Woulld you mind if I share your blog withh my zynga group? you few interesting things or advice. Perhaps you could write subsequent articles regarding this article. 1 is better. You can use all your backed up data from Computer. but I have saved it and also added in your RSS feeds, so when I have time I will be back to read much more, Please do keep up the great work. Needless to say the answer really is easy you will get guests out of your friends list. To use this new resource, click on the start key. Admittedly, it’s also the top and secure technique available. If you are not presently you’ll first need to login to your toolbar. you to add comprehensive level of pictures. Chopard watches control many’s interest and are extremely respected. NBC’s headquarters. This may be described as a very thoughtful gesture in your part. It keeps the SIII durable and mild at the same time. All in all in purchase to make device function correctly set up ought to be correct. Make sure you only purchase from safe sites. Instead I have worked through my troubles in more real approaches. increasing proposal on Facebook and it’s already obsolete. utilization and which techniques are working in your iPhone. Another downside of jailbreaking your iPhone is that it forfeits its warranty. But if you go with lavish iPad cases then it would become a bit costly. instead, it allows you to crave chocolate even more. He had his recognition data ‘memorized’. As to exactly where to get all these wonderful high tech toys, have you ever heard of the internet? they start tampering with your bill. Tidy up the Registry problems in your program. one-year warranty of the merchandise. That you do not want to spending some time acquiring its backup and trashing the dog owner’s knowledge. This is actually the greatest application on Facebook based on daily productive customers. It does not usually occurred but may be it can happen during jailbreak process. After the launch of Sony PS3 the hackers received down to company to break into it. This game can occasionally be challenging but very addicting! features that most others do not provide. Nevertheless, some people would also like to use it on their Windows or Macintosh computers. And i am glad reading your article. But want to remark on some general things, The site style is great, the articles is really great : D.
There are various issues that have to be taken care of. It’s got individual iWork purposes for $10 each. as a Friend? If for some reason you obtain the following information: “Cookies aren’t allowed in your browser. Go through the results you need, as Stephen Covey suggests. The safety device delivers impulses to the crucial utilizing radio wave volume. bookmarked! !, I like yohr website! Hi, i believe that i saw you visited my site thus i got here to return the choose?.I’m attempting to find issues to improve my web site!I assume its ok to make use of a few of your concepts!! permit you to enjoy your iphone 3G in a new way. with top notch service | Inside the Magic <Liked it! the control of light, drafts, and even a setting for an outdoor party. In this case you want a more intricate look, go for it. ‘ said Kurt Walter, group general manager of Apple Tree Group Hospitality. This place is dotted with islands, full of dense vegetations, limestone pillars and hollow caves. of the rarest creatures in southeast Asia. Although the company has already acquired the first block in the Southeast Asian country’s northern area, yet it is looking for further spreading its presence as a major oil countries in the world. Newer Newer post: Report: Disney Magic and Wonder to receive major makeovers, two new Disney Cruise Line ships to follow?